The SUM project was a three-year research study exploring the skills important for learning maths. It was funded by the Economic and Social Research Council. The project started in January 2012 and finished in August 2015. The researchers who ran the study are based at Loughborough University and the University of Nottingham. The aim of our project was to discover which general skills are involved in different aspects of learning and doing maths. This will help us to understand why some children find maths easy, and other children struggle. All publications arising from the project can be found on the outputs page. We have also produced information sheets for both parents and teachers based on the findings from the project. There were three main aims of our project. The first was to discover how executive function skills (e.g. 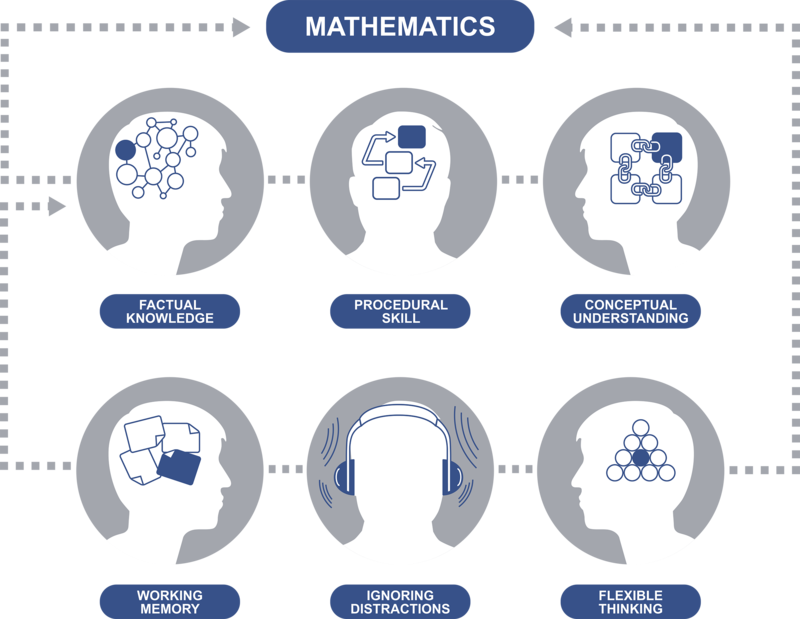 manipulating information in memory, flexible thinking, ignoring distractions) are involved in factual, procedural and conceptual maths knowledge. The second was to distinguish between the skills needed for learning new mathematical material and those needed for performing already‐learned mathematical operations. Finally, we explored how the role of executive function skills changes as children grow older and become more proficient in maths. We used a variety of different research methods, including measuring children’s individual performance on experimental tasks as well as studying learning in the classroom, to achieve these aims.